Start Game-Killer, minimize it to the top left corner of the screen. Select ‘DWORD’ in the next step as the type of memory location to search for. Game-Killer will list out the memory locations where the value occurs. Modify the values of all the listed locations to some high number, say 99999999 until the correct one is found. When the correct location is found, the count of coins in the game changes, too, instantaneously. So, keep an eye on that. Now, you are the proud owner of virtually unlimited coins. But, it is not of much use unless you earn gold, too, right? So, what I did is, I repeated the same procedure as described above for gold, listed down a number of memory locations, then played the game a little bit, spent a few gold and searched for the reduced count of gold from the memory locations already listed in Game-Killer. Every time I tried doing the same, I found a generic pattern! The memory location holding the count of gold is 0x50 (HEX) offset smaller than that holding the count of coins. So, here goes my recipe. You need not do anything but simply calculate the memory address of gold by subtracting 0x50 from the memory address you have already found for coins. (In this guide, the address is 0x61FEDFDC). Switch over to RealCalc’s HEX mode to perform this calculation. Again, modify the values of all the listed locations to some high number, say 99999999, to obtain unlimited gold. 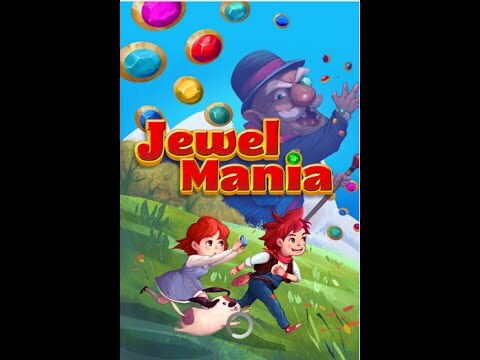 A word of caution, every time you connect to Internet, Jewel-Mania will refresh game data and the values will be lost. You progress will remain saved though. You may need to repeat all the steps above sometimes once you disconnect from Internet. However, despite having new memory locations for gold and coin as the game is re-strarted or game-data is reloaded, those will always differ by an offset of 0x50.